← Snapshot of Aussie SpecFic writers! 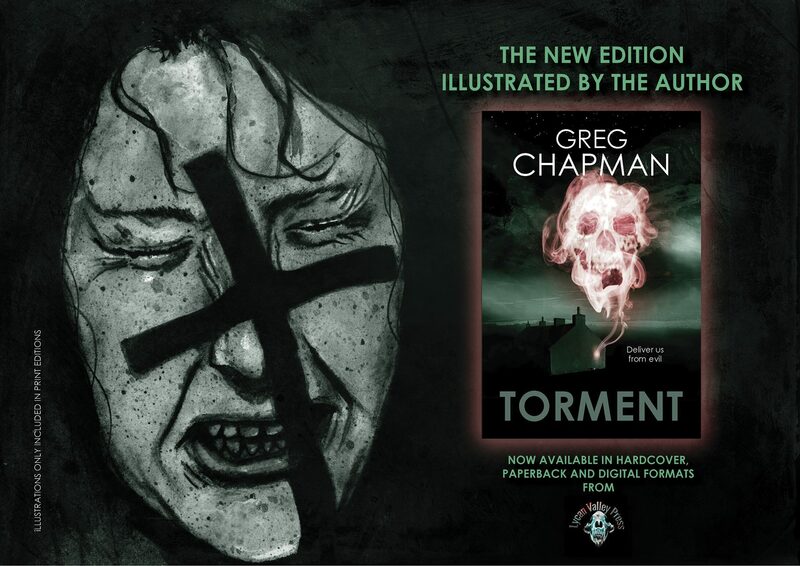 After five years my very first novella, “Torment” is back in print! This new edition, published by the fine folks at Lycan Valley Press in Canada, contains five black and white internal illustrations by yours truly, and will be available in paperback, hardcover and digital formats. The trade paperback has just been released. You can grab a copy HERE. Hardcover and digital formats will follow soon. 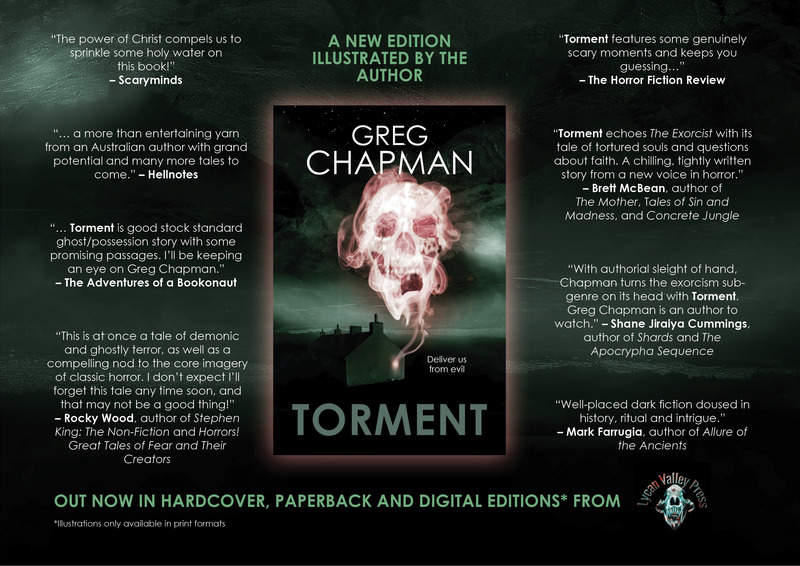 This entry was posted in Uncategorized and tagged lycan valley press, novella, torment. Bookmark the permalink.